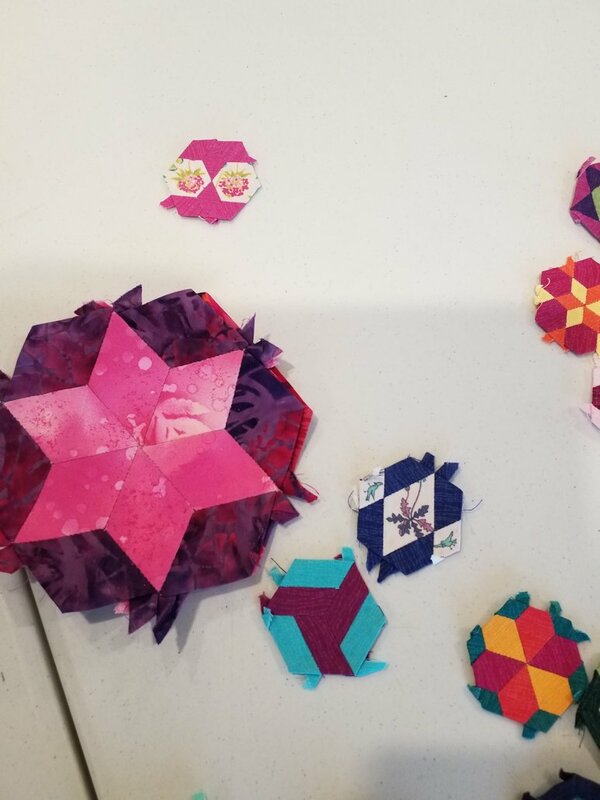 Early in January, I went on a 4-day quilting/sewing retreat with some friends. 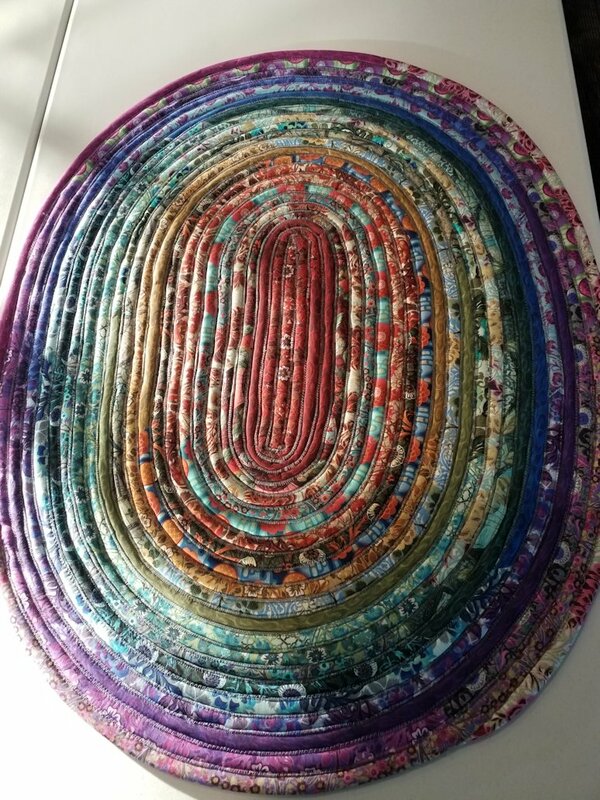 During that time I made a jelly roll rug (my first ever! ), and four quilt tops. 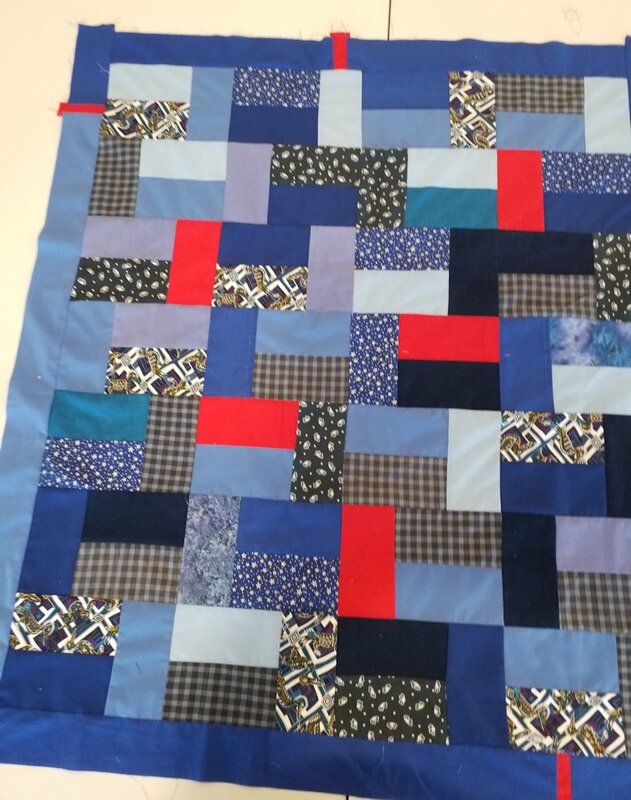 The jelly roll colours were much more vibrant than the photo shows. The jelly roll fabric was from the ‘Pastiche’ range by Jason Yenter, In The Beginning Fabrics (http://www.inthebeginningfabrics.com/ and http://www.inthebeginningfabrics.com/shop/c/p/Pastiche-Strip-Rolls-x28221827.htm). Three of the quilt tops are simple — each took me about 4 hours from scrap fabric to a finished top, with borders. 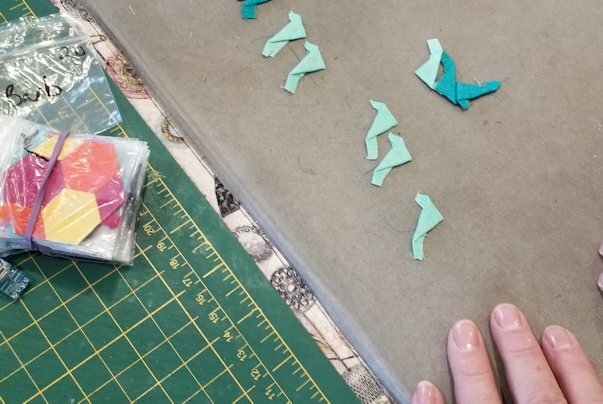 Each cut piece is 6.5 x 3.5 inches. 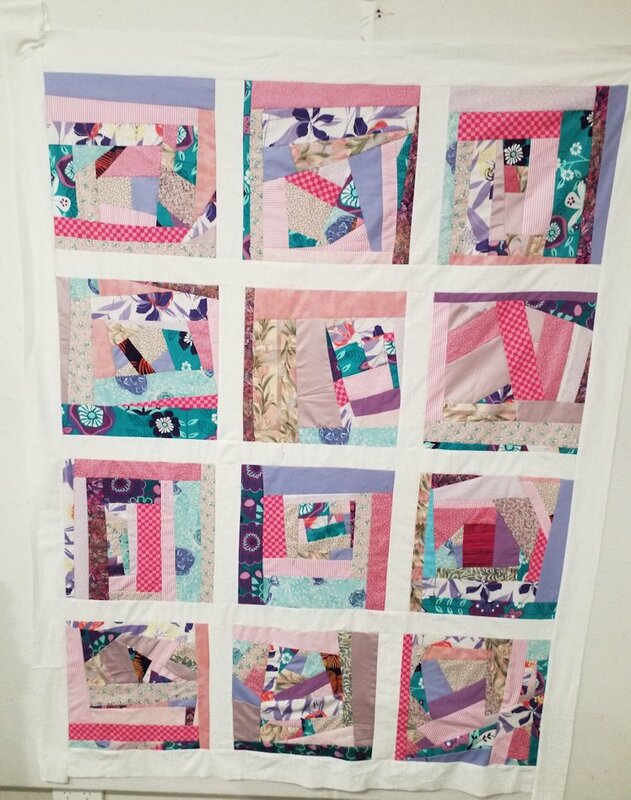 The other (pink one) was a scrappy improv quilt, where I take bits of sort of matching fabric scraps and sew them together, until I end up with other pieces of fabric that I can cut into blocks—in this case, 12.5 inch blocks. 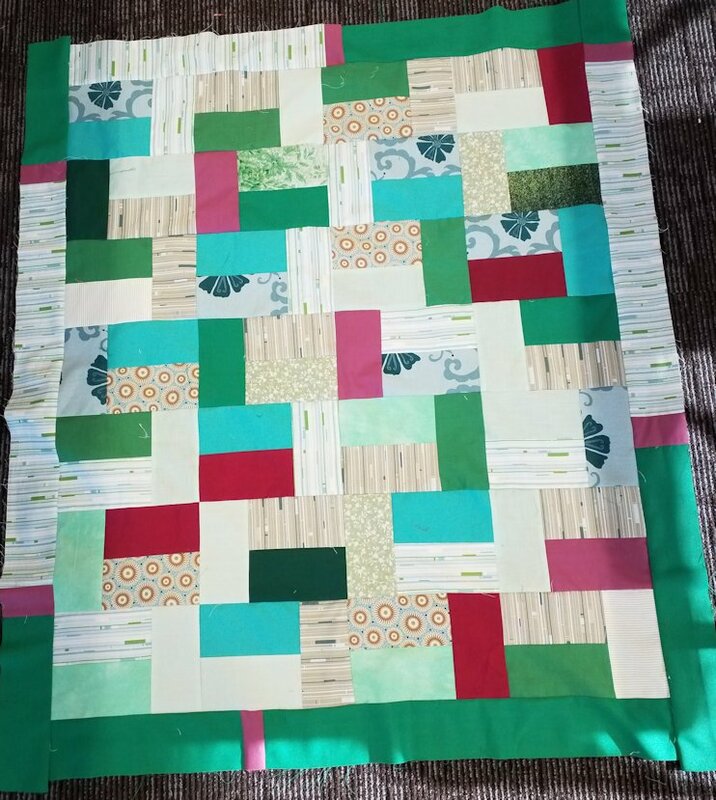 Then I added sashing strips and a border. 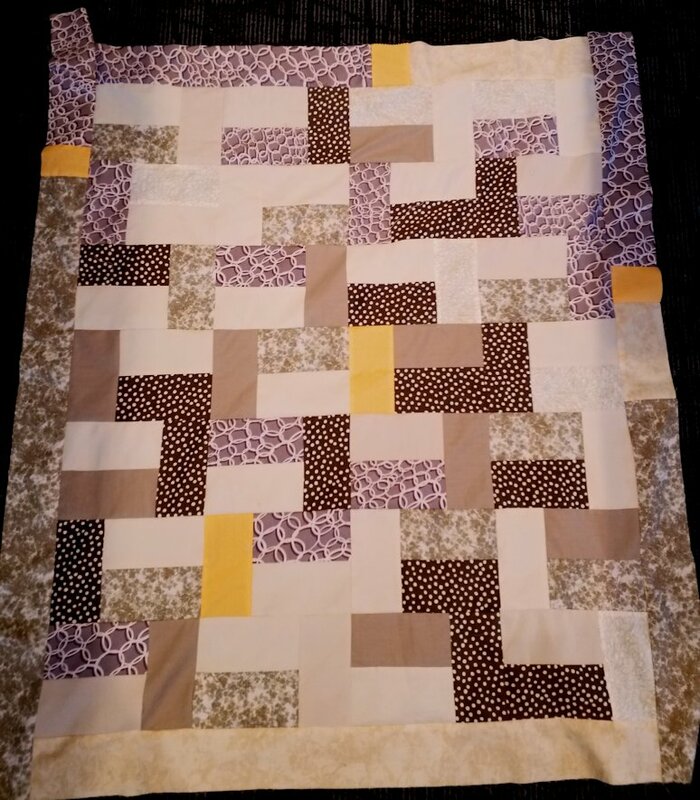 This sort of improv quilt takes much longer than the simple scrappy ones, but it’s a good way to use up smaller scraps. We all worked on our own projects, in that comfortable silence that good friends have. These retreats are good for my soul! 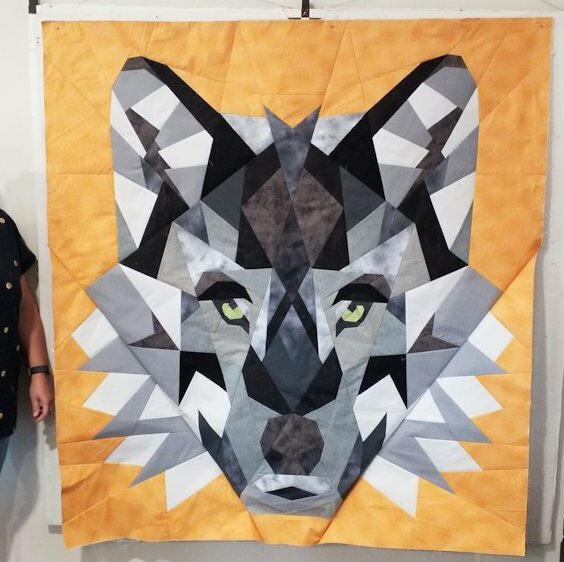 Look at this amazing wolf Jo made from a Violet Craft pattern! 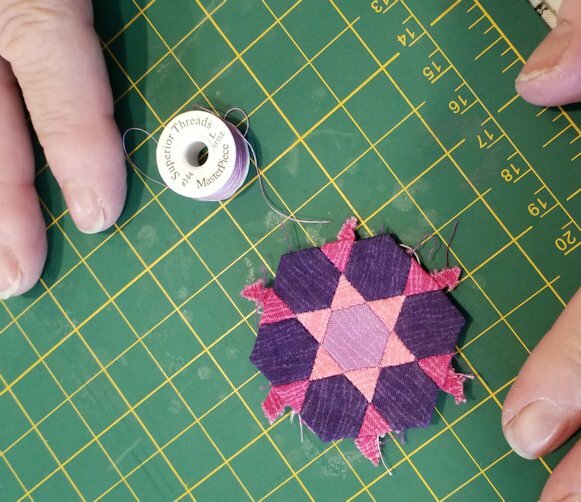 And Carol has decided that usual sized hexies just aren’t enough (I can’t even do those! ), so she does miniature ones! I think she’s mad!! 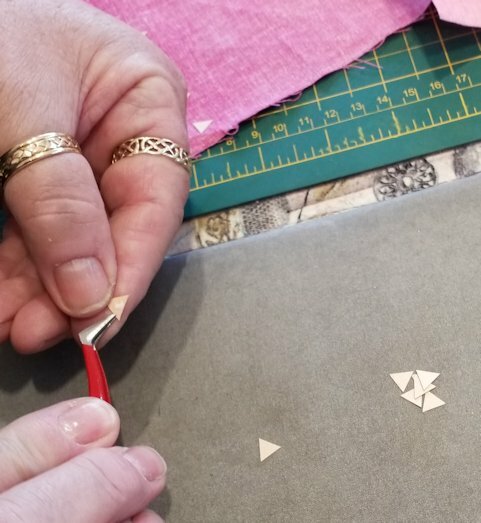 I love these retreats – you leave all of your chores and responsibilities at the door and just sew with friends, although I must admit I never went to one that was quiet! I do enjoy your blogs so much. 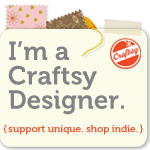 And your quilts. It certainly wasn’t always quiet 🙂 But with only 9 of us, and various times we woke up and got started, there were many times where we were just focusing on our own stuff.